The week ends, the month ends and now the year also ends. What a truly amazing year! A rollercoaster of a ride, filled with terror and thrills, literally and metaphorically. I face a medical scare (mostly a consequence of being a physician and simply knowing too much…and letting my imagination get away from me.) I face and reconciled the unexpected and gut wrenching blow to my personal financial profile that often accompanies being once married and divorced by not financially divorced. 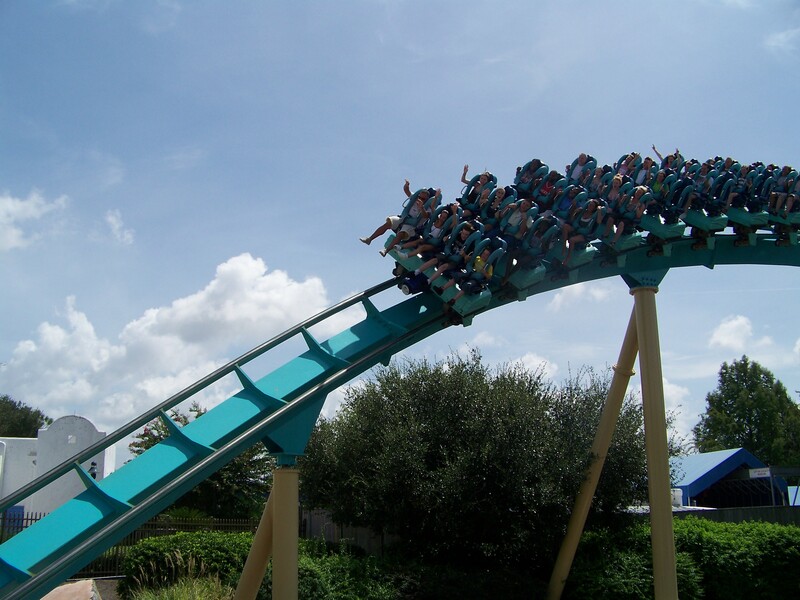 I rode the roller coasters at Seaworld and love them. I also laid on a blanket and watched the clouds roll overhead, silent and reverently at the glory of the world. I found the focus to manage my business and streamline the operations, improve quality and outcomes, improve efficiency and plan for the new year. I have shown my thanks for the people in my life professionally and personally. I sewed my little fingers off and made full sized quilts for people and all my larger projects are featured on my 2011 Projects page. I did a first round edit of my novel but then petered out, lost my fire. I am still trying to figure that out. I started a new exercise routine, doing Zumba twice a week. I miss the walking though and believe some of my writing mojo is hidden in my walking routine. I restart walking today in an attempt to catch the dragon’s tail again. I did a crazy amount of canning and preserving and while I am no Little House on the Prairie homemaker, I am all about fresh and local and minimal ingredients. My house plans are finished, the spec bid is too. I await the underwriters and the EPA to give the go ahead. The banking industry is a bit schizophrenic and gopher turtles are an endangered species. So, until both behemoths MOVE….I wait. I have found my new rhythm and the future looks bright, hopeful and fun. But I suspect the next year will be as much of a rollercoaster ride as this year. There is a new baby coming(a co-worker’s, not mine), a house to be built, an office network to upgrade, another year of high school and the start of college visits, a teen driver will likely get a car of his own and that damn novel is going to be sent to contests and agents. I also have seeded my heart and hope that love will bloom. In all, the year ahead looks amazing and I am excited.